Subscription boxes are some of my favorite ways to discover new products. Peaches and Petals is a lifestyle subscription box that features a great assortment of products for your home, wardrobe and beauty routine. August's box is about taking a day for yourself. Sounds good to me! Let's take a closer look at this month's box. Salad Bowl | This bowl came just in time because my husband brings salads to lunch pretty often. It's got a bowl on the bottom, top tray for toppings, a small container in the center for dressing, and a fork that snaps into the lid. Much better than carrying around three separate containers to work every day! 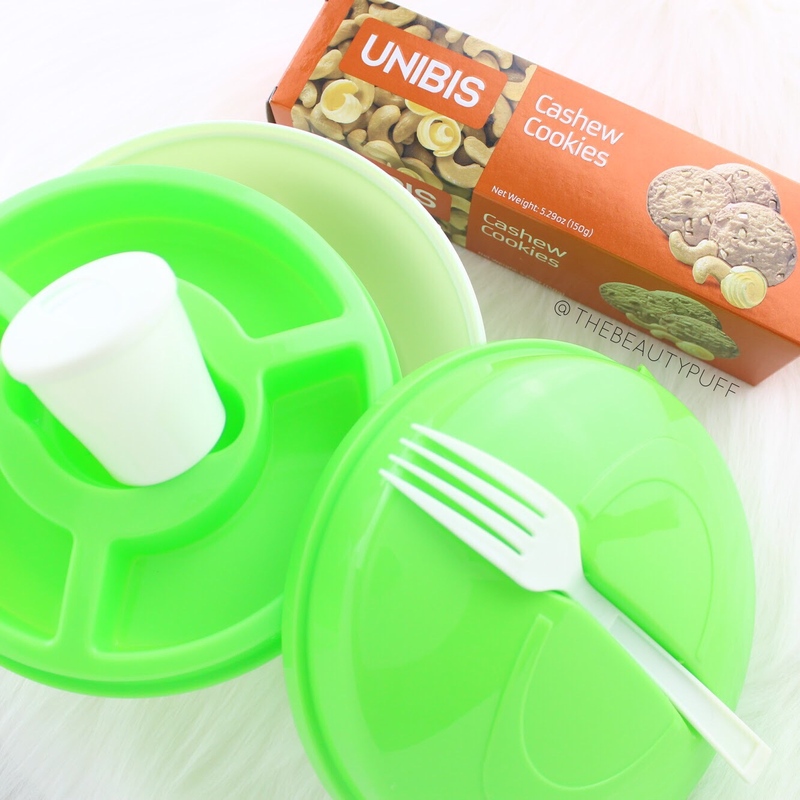 Unibis Cashew Cookies | De-lish. These cookies are crunchy, slightly sweet and go great with a glass of milk. I like that they're not overly sweet but they're definitely a nice treat at the end of the day! Pint Glass Set | Cheers to the end of a long week with this cute set of pint glasses. 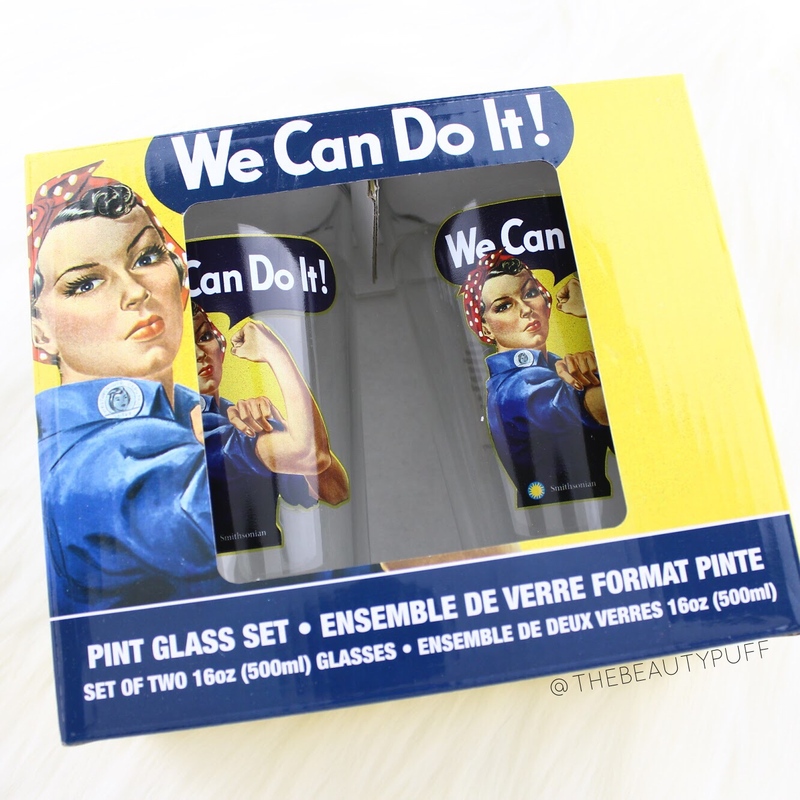 Each features the same "We Can Do It!" slogan on a clear 16oz glass cup. Batiste Travel Dry Shampoo | A lazy day without washing my hair? Yes please. Batiste is one of my favorite dry shampoo brands and I'm currently using this exact scent in a full size! I'll be throwing this travel size in my hospital bag.